4 Bedroom Terraced House For Sale in Preston for Asking Price £110,000. Fantastic investment property or first time buy - Offering no chain ion briefly delay this four bedroom terraced home over three floors offer fantastic living accommodation. 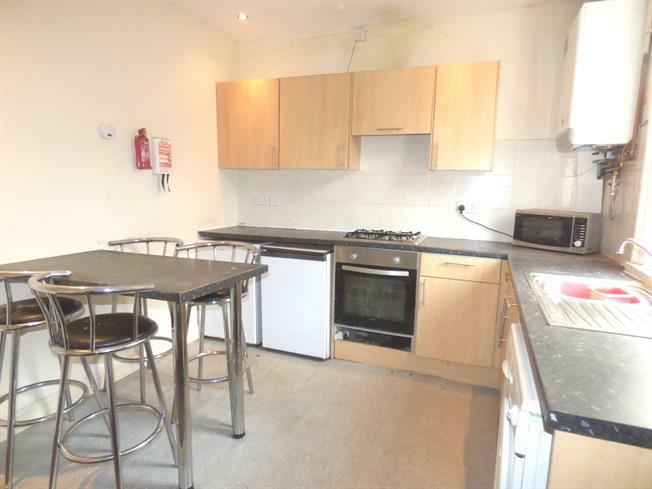 Situated in Ashton offering easy access to Preston city centre, local amenities and UCLAN. The accommodation briefly comprises; vestibule, hallway, lounge, breakfast kitchen, utility room, four bedrooms and modern bathroom. Double glazing and gas central heating system, west facing courtyard to the rear. Call now to arrange a viewing. UPVC door to the front and meter cupboard. Staircase leads from the hallway to the first floor landing. Double glazed window and uPVc door to the rear, range of wall and base units with complementary work surfaces and breakfast bar, gas hob and oven with extractor, stainless steel sink and drainer, boiler, radiator and pantry. Staircase leads from the hallway to the first floor landing, double glazed window to the rear and radiator. Modern three piece suite comprising; bath with shower over, wash basin, low flush wc and tiled walls. Staircase leads from the first floor landing to the second floor. Double glazed Velux window to the rear and radiator. Wall enclosed rear yard with gated access to the rear.